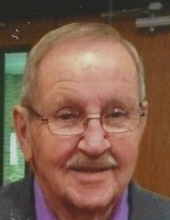 Kinney, Leo Earl - Age 89, of Swartz Creek, died April 10, 2019. Funeral service will be held 1PM Monday April 15 at Cornerstone Baptist Church, 6273 Miller Rd. Swartz Creek. Pastor Chris Yager officiating. Visitation will be held 1-4 PM and 6-8 PM Sunday at Sharp Funeral Home & Cremation Center 6063 Fenton Rd. Flint, and from 12 PM until the time of the service at the church on Monday. Those desiring may make contributions to Cornerstone Baptist Church. Leo was born May 31, 1929 in Cross County, Arkansas the son of Earl and Emma (Gean) Kinney. He married Beverly Hamilton on June 26, 1954 in Flint. Leo was a veteran of the Army National Guard. He retired from General Motors- Flint Engine Plant in 1977. Leo was a member of Cornerstone Baptist Church. He spent 30 years in Florida coming back to Michigan in 2008. Leo enjoyed his garden, fishing, and singing gospel songs, but most importantly family. He is survived by his wife of 64 years: Beverly; 4 children: Earl (Patricia) Kinney of Gaines, Paula (Daniel) Kujacznski of Flushing, Marla (Randy) Hardy of Swartz Creek, Laura (James) Kaiser of Gaines; 11 grandchildren; 31 great-grandchildren. Leo is preceded in death by his parents: infant grandson: Bradley; sister: Esther Grimmett; brothers: Doyle and Marvin. Tributes may be shared at www.sharpfuneralhomes.com. To send flowers or a remembrance gift to the family of Leo Earl Kinney, please visit our Tribute Store. "Email Address" would like to share the life celebration of Leo Earl Kinney. Click on the "link" to go to share a favorite memory or leave a condolence message for the family.